This article originally posted at Climate Progress. View the original article here. Wind energy’s 2013 emissions reductions by state, using EPA’s AVERT tool. AWEA’s report noted that reducing carbon also carries co-benefits: sulfur dioxide emissions drop by almost 347 million pounds per year as a result of wind energy production, and nitrous oxide emissions are reduced by 214 million pounds per year, These reductions improve air and water quality. The cost of wind energy has also been falling over the last few years — costs have dropped by 43 percent in four years, according to AWEA, due to improvements in technology. 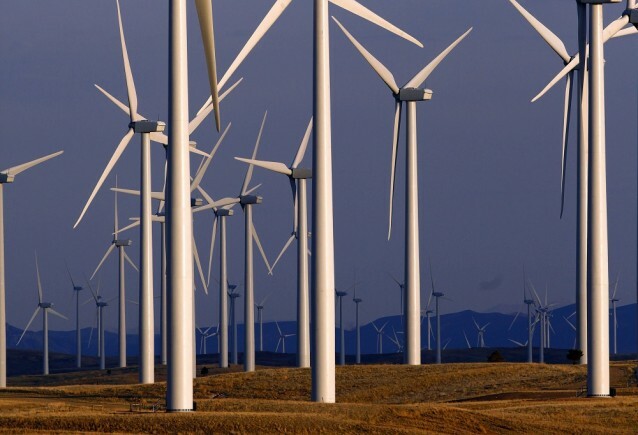 That decrease in cost is part of the reason wind energy has expanded across much of the U.S. — AWEA found that in 2003, wind energy made up just 0.3 percent of the country’s power generation mix, but by 2008, had grown to make up 1.3 percent of the mix. So far, almost all of the country’s wind projects have been on land, but the U.S. is also exploring offshore wind as a potential for further energy generation — Oregon could be the site of the West Coast’s first offshore wind farm. Multiple wind projects are in the works right now in the U.S. — the Interior Department is auctioning off 80,000 acres off the coast of Maryland for commercial wind energy leasing, an area that, if fully developed, could generate enough energy to power about 300,000 homes. Rhode Island-based wind company Deepwater Wind is planning a five-turbine installation off the coast of Rhode Island, a project which could power 17,000 homes. In in Nantucket Sound, a 130-turbine project that’s in the works could provide Cape Cod, Martha’s Vineyard, and Nantucket with 75 percent of their power needs. Wind isn’t the only renewable energy to expand in the last few years. U.S. solar capacity grew by 418 percent over the last four years according to data released in April by the Energy Information Association. So far in 2014, America has added 5,600 renewable energy jobs, with the largest growth coming from the solar industry. That number is a drop from the 12,000 clean energy jobs reported in the first quarter of 2013, partly because Congress has failed to renew the Production Tax Credit for wind energy — a $13 billion tax break to help wind compete with established fossil fuel power companies.